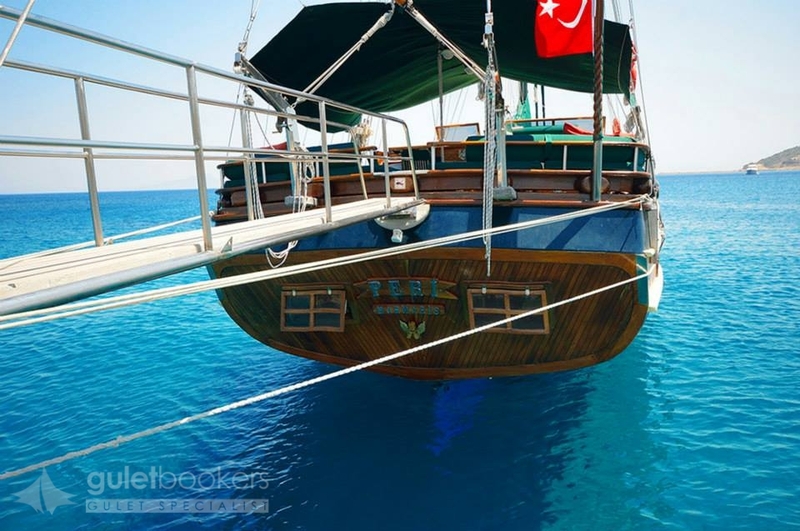 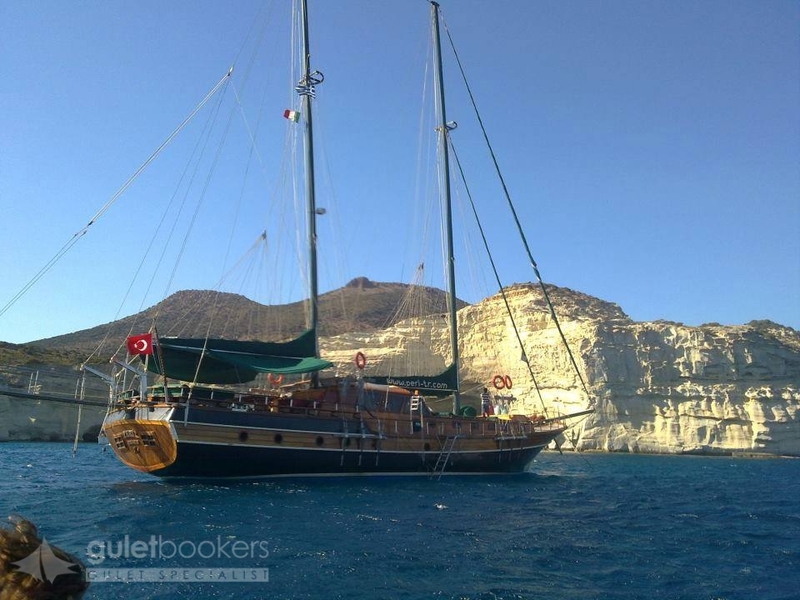 The Luxury gulet Peri is a great value 25 meter 5 cabin ketch gulet, offering all the comforts and relaxation areas for up to 10 guests to enjoy a boat charter holiday in Turkey. 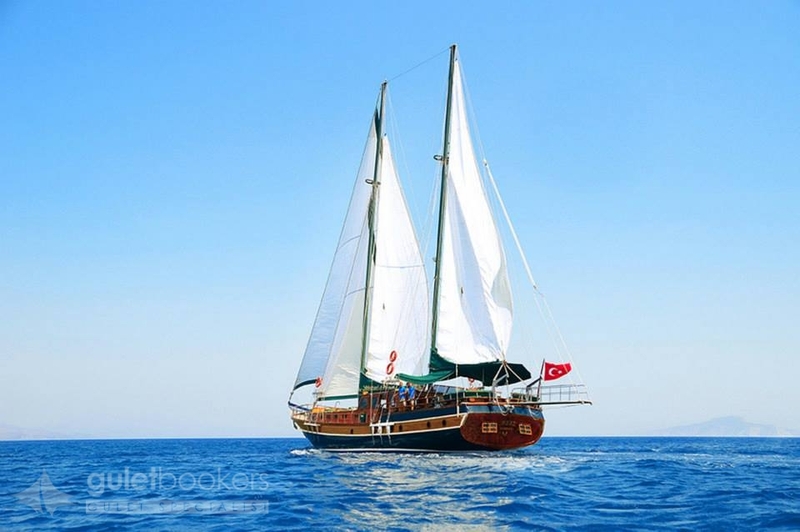 The crew of captain cook and two deckhands look after the guests and the boat, serving delicious meals and finding the right bays and harbors to add variety and choice to the gulet cruise. 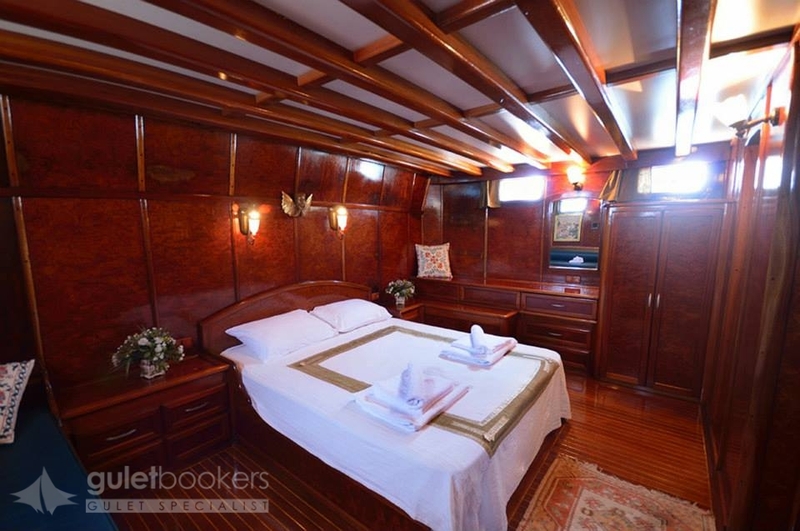 Turkish yacht Peri is distinguished by its beautiful polished walnut timber throughout the interiors, adding an elegant but uncluttered style to its simplicity. 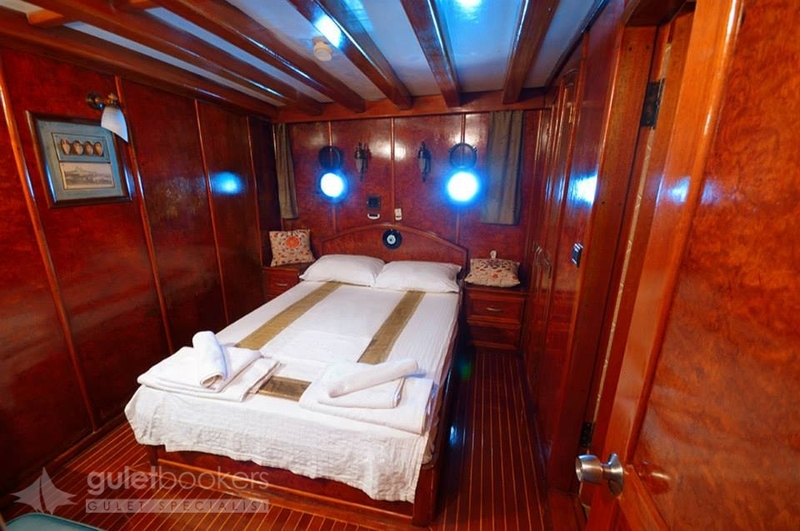 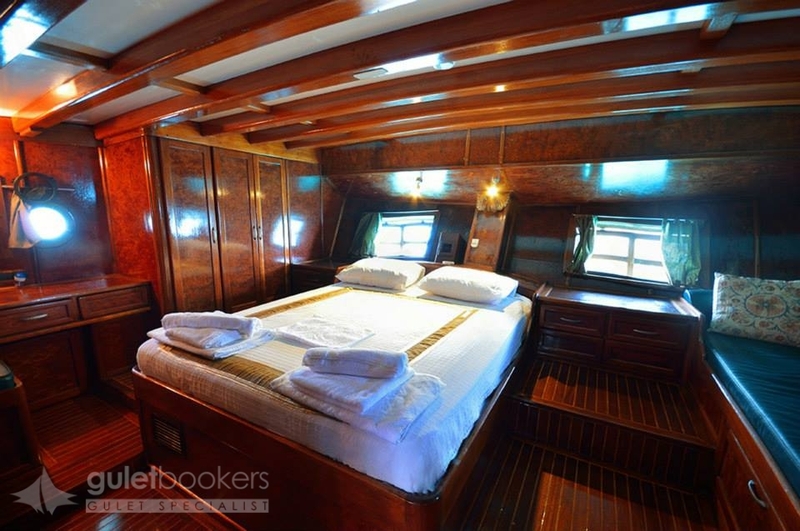 Of the five cabins, the master cabin forward is the largest with a walk-around double bed and side settee. 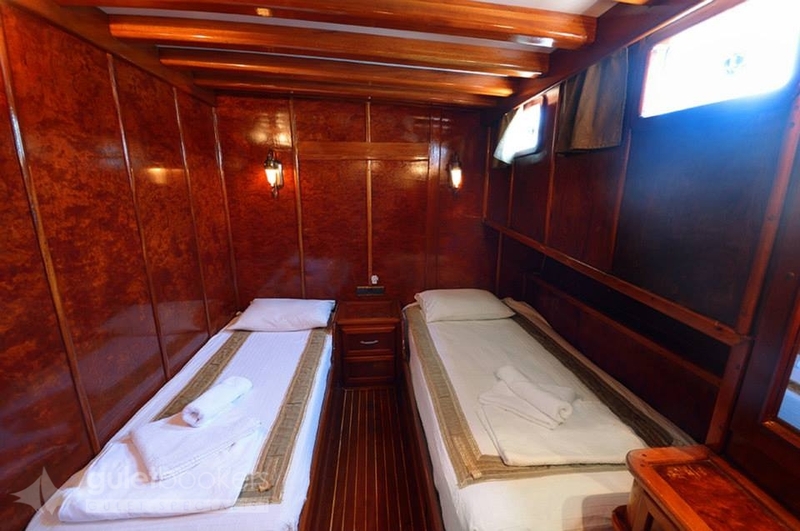 Beside it are placed the two twin bed cabins to each side. 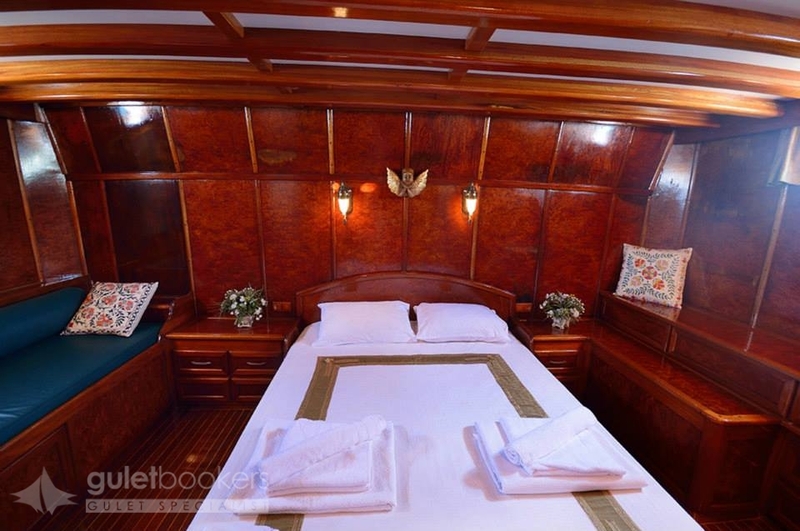 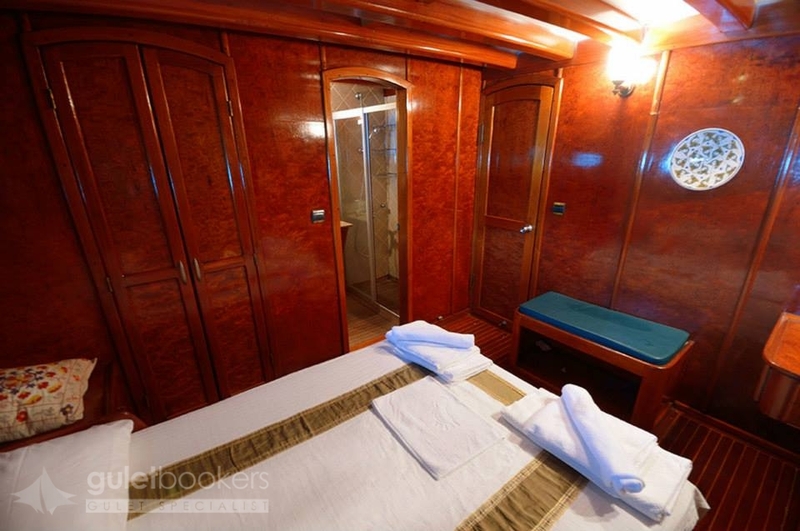 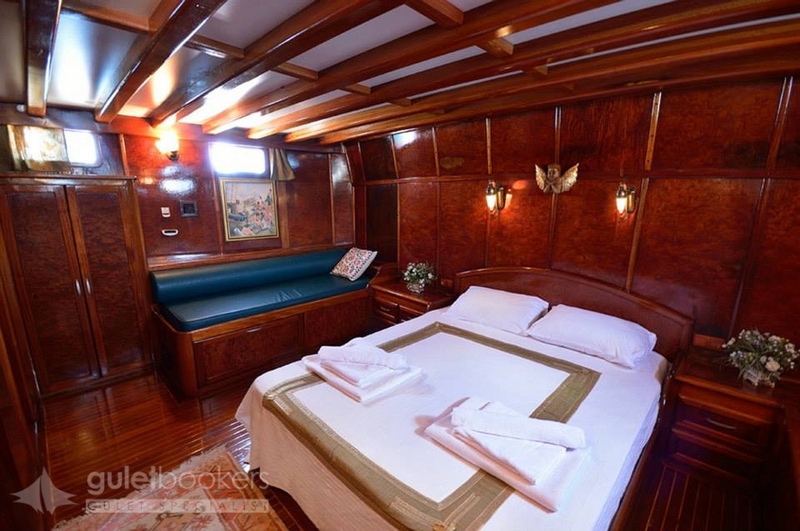 In the stern the larger double bed cabin enjoys the beam width with a walk-around double bed, and the third double bed cabin is to one side. 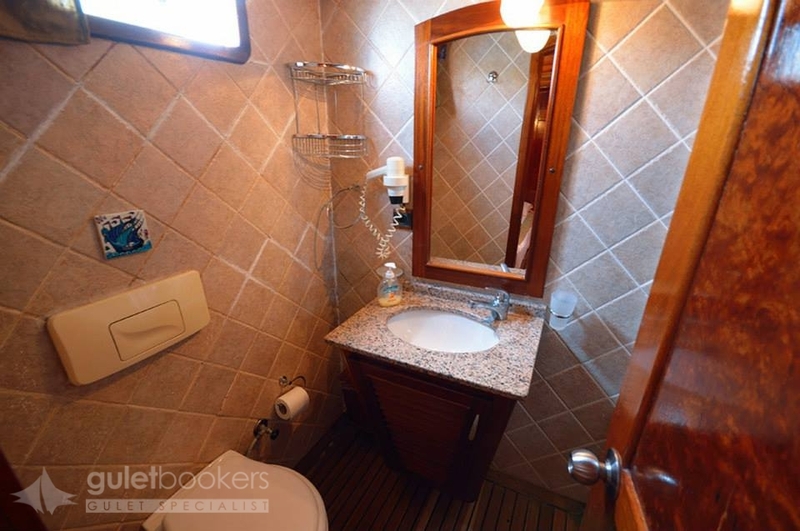 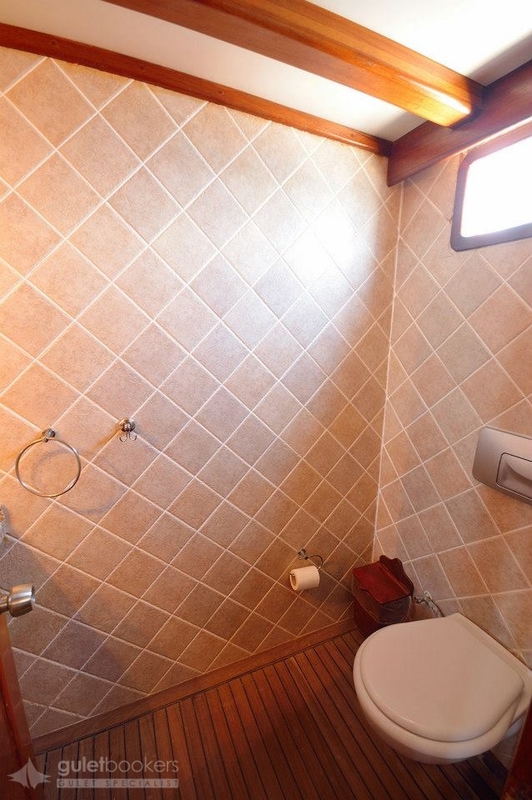 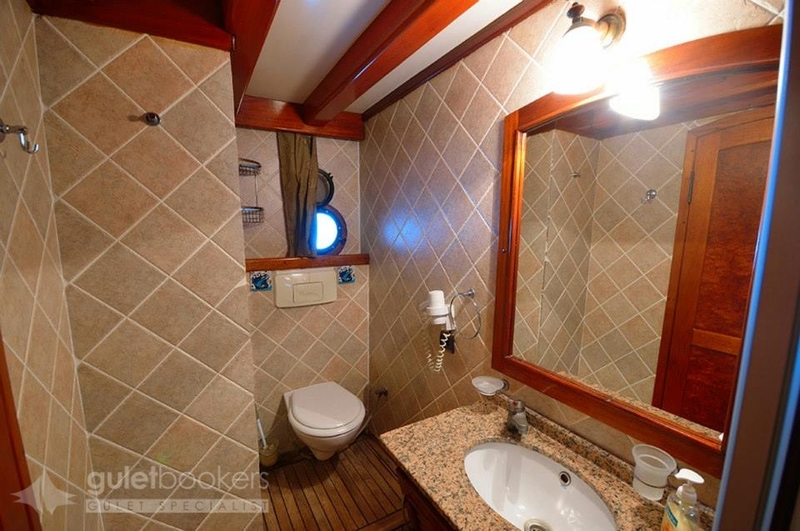 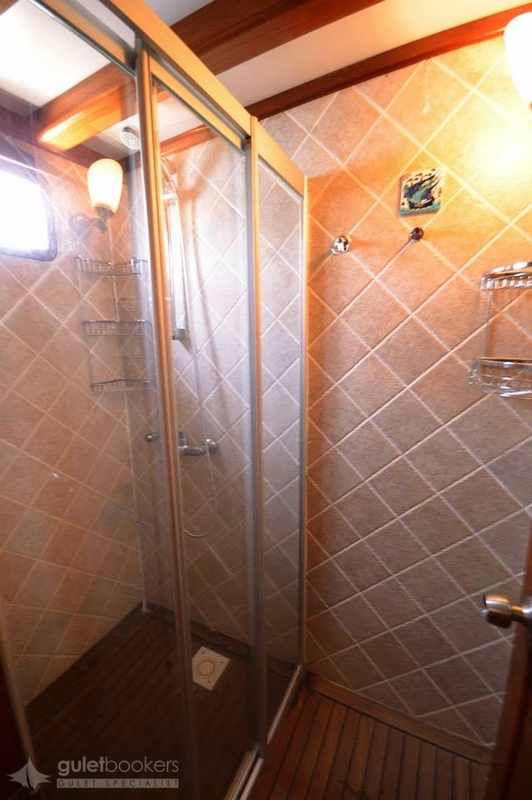 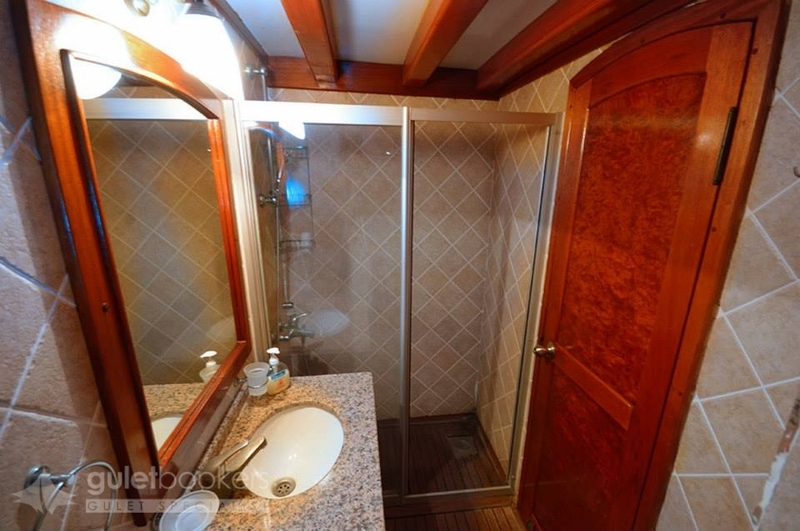 All cabins have private bathroom and air-conditioning available. 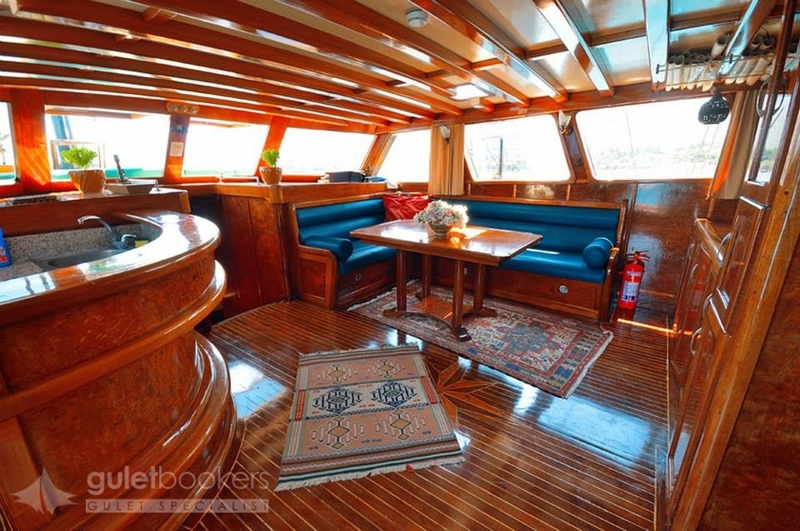 The cabins are approached through the neat airy indoor saloon where a small drinks and bar and a full dining table with comfortable cushioned seat invite for a relaxed meal or for some TV or DVD viewing time. 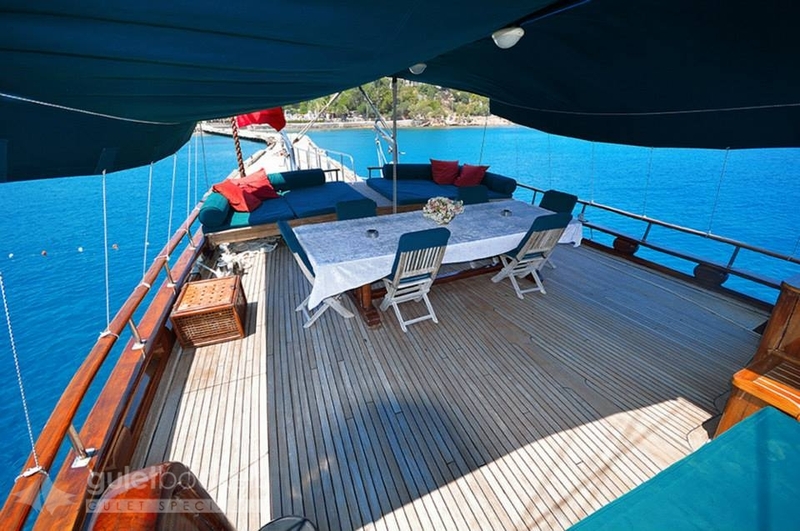 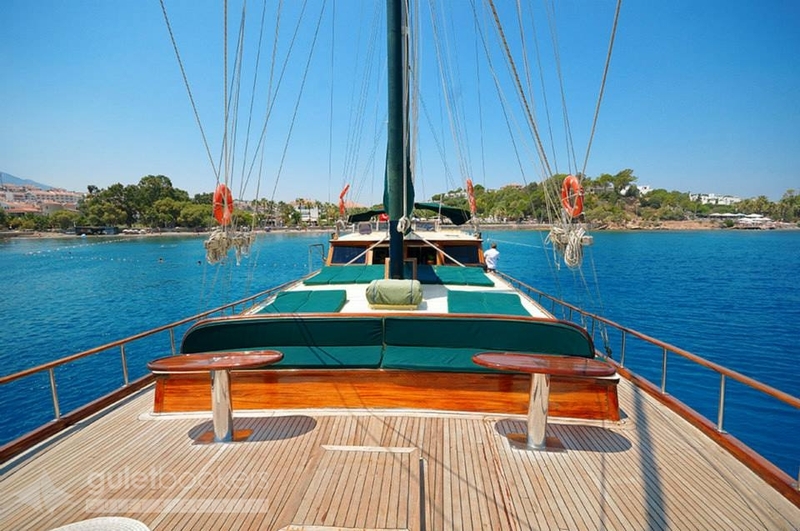 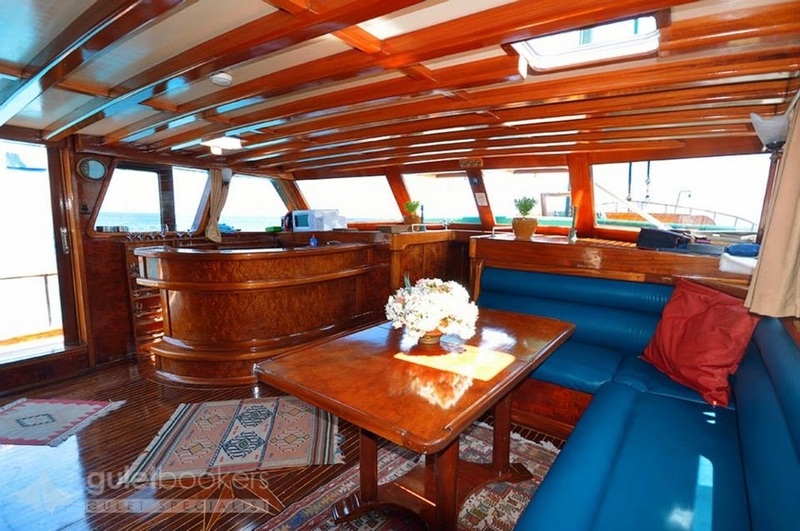 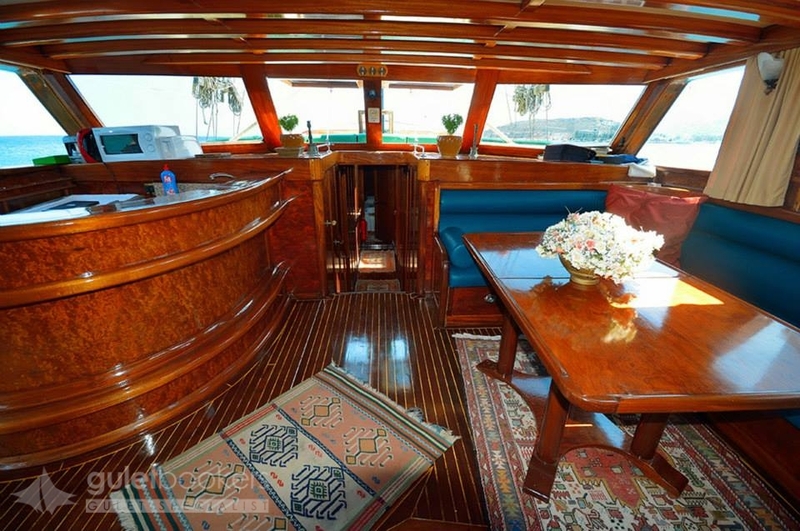 The deck on the yacht Peri is the place to enjoy a gulet holiday cruise, lying on the stern cushions or dining on great meals under the shade on the aft deck, or moving forward to the sunbeds and cushioned seat at the bow. 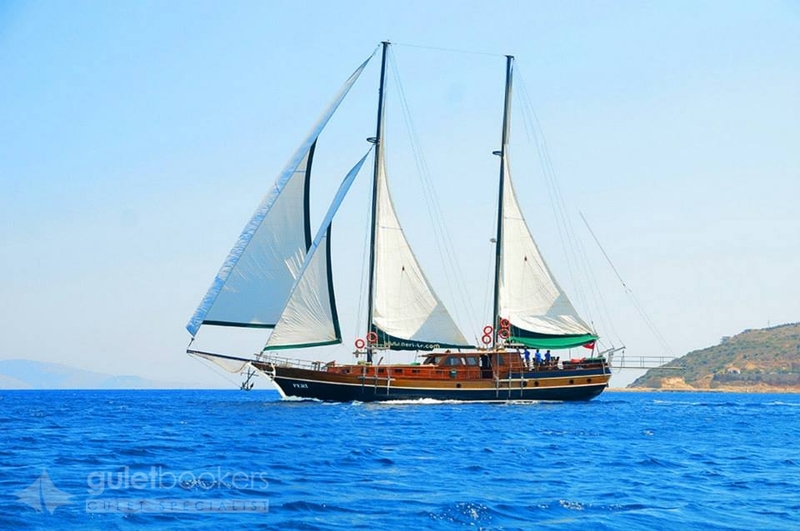 For a carefree holiday of swimming, sunning and exploring the Aegean coastlines of Turkey and nearby Greek Islands, the Peri offers a touch of luxury to the simple delights of gulet cruising.